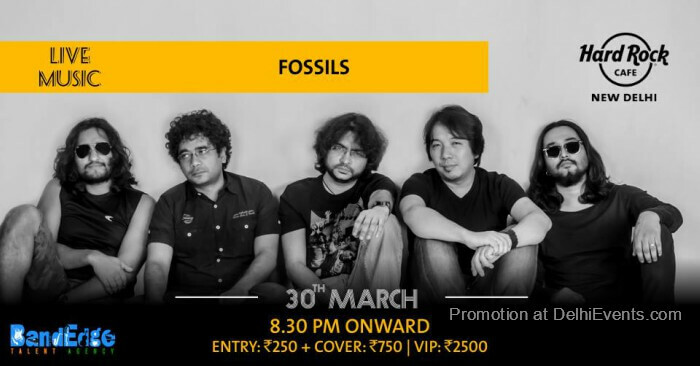 One of the most pioneering rock bands of Kolkata, Fossils has been around since 1998 – almost 20 years. These Bangla rock superstars have fans spanning across generations, and their fan base continues to increase with each fiery live show. The songs boast of very powerful lyrics, armed with heavy riffs, kickass drumming and a superb stage act.The band is currently composed of Rupam Islam (lead vocals, acoustic guitar & composer), Deep (guitar, backing vocals & composer), Allan Ao (guitar, backing vocals), Chandramouli (bass, backing vocals), Tanmoy (drums).Their music is flavoured by a blend of blues, rock and psychedelia, along with Rupam Islam's vocal renditions of his characteristic psychoanalytical lyrics. Like most other Bengali bands, Fossils performs in the Bengali language. After 2010 it is considered one of most popular bands in India.